Every four years the U.S. Department of Defense releases its Quadrennial Defense Review (QDR), an assessment of the potential threats and capabilities of the U.S. war machine. 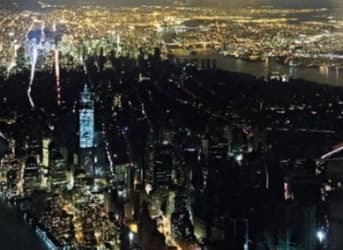 The QER sounded the alarm on the U.S. electricity grid, which suffers from aging equipment, stretched and congested transmission lines, and a rapidly changing generation profile that poses new challenges. Updating the grid to become equipped to handle distributed energy – thousands of solar panels spread over a wide area – and the varying levels of output associated with solar and wind will require major upgrades. That doesn’t even account for merely replacing the aging wires that proliferate the country. To bring the grid up to speed, an estimated $1.5 to $2.0 trillion will need to be invested between 2008 and 2030. But it isn’t just the grid that is suffering from wear and tear. Pipelines carrying natural gas also need to be replaced in order to adequately service an economy growing increasingly dependent on the fuel. Nearly half of all the gas pipelines traversing the United States were built in the 1950’s and 1960’s. An annual investment of $2.6 to $3.5 billion will need to go into replacing pipelines between 2015 and 2030. Related: Has The Bakken Peaked? Moreover, the QER calls for upgrading America’s strategic petroleum reserve (SPR). Originally established in the 1970’s during the oil embargo in the Middle East, the SPR has not kept up with the changing global marketplace. Pipeline infrastructure in and around the Gulf of Mexico, where much of the U.S. SPR payload is stashed, has changed substantially, affecting the SPR’s ability to respond to a global supply event. Modernizing the SPR could cost somewhere in the neighborhood of $2 billion. Related: Who Is Saudi Arabia Really Targeting In Its Price War? Finally, there is a long list of other dangers affecting the security of U.S. energy infrastructure, ranging from cyber threats, to potential terrorist attacks, to the increasing frequency and severity of natural disasters. The QER is a much needed stress-test of the U.S. energy system. But addressing the all the problems will be tricky. At the end of the day, fully beefing up the electric grid, oil and gas infrastructure, security systems, and more, will require lots of money. And that is something that will be difficult for Congress to come to grips with. How Much Money Can You Really Save With A Smart Home? Has The U.S. Reached “Peak Oil” At Current Price Levels? I see surcharges o my utility bills all the time for transmission and distribution costs. Apparently these moneys are going to pay for the lavish lifestyles of executives instead of being invested in upkeep and maintenance as it should be. The SPR upgraded ???? Why ? Oil's predominance as a fuel resource has a limited lifetime. Even if there is enough to last say another 20-30 years, the tail end of those years will see such a high price that alternative fuels or modes of transportation will displace it . It would be like the dawn of the automotive age and someone saying, " We need to start a horse breeding program because were not keeping up horse production with population expansion. " Unfortunately, this attitude is becoming prevalent in our society, oh here's a big problem the government needs to step in and correct. No, the investors who own the infrastructure and profit by to need to divert some of the earnings back into maintenance and upkeep. I see this same thing happening in school systems, the worst performing schools continue to pump their limited resources into sports programs ultimately resulting in bad test scores. The residents don't want to pay higher property taxes so the state has to pay a higher and higher percentage of their budget. The squeaky wheel gets the grease. Another opportunity for natural gas in the form of LNG to help save the Nation in replacing underground pipes and costly infrastructure. LNG can be transported via trucks and rail to meet the growing need for transportation and off-road applications.